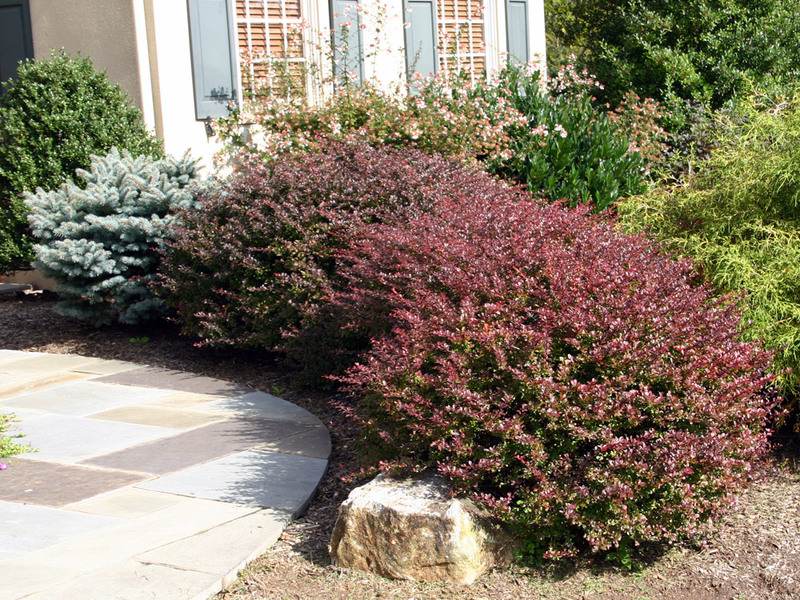 A large group of deciduous shrubs that have a wide variety of attractions. Some have ornamental foliage, others wonderful autumnal colour, some flower beautifully and others produce decorative berries. What they do all have in common is that they have spines that are often hidden just below the leaves. 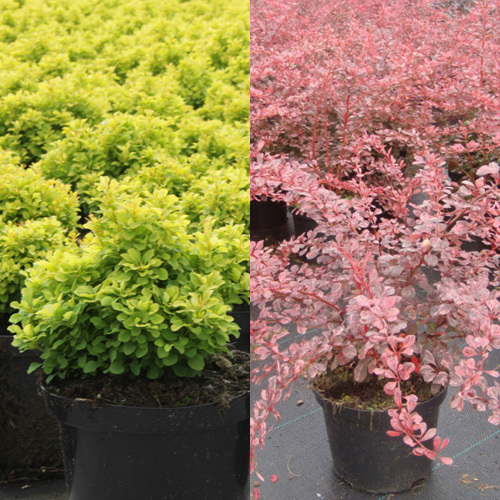 As well as their horticultural attractions, they therefore also are excellent as plants for enhancing security around a property, either as a hedge or as individual or groups of plants under vulnerable downstairs windows preventing access. The spines are small and not often immediately obvious, they are however very vicious. 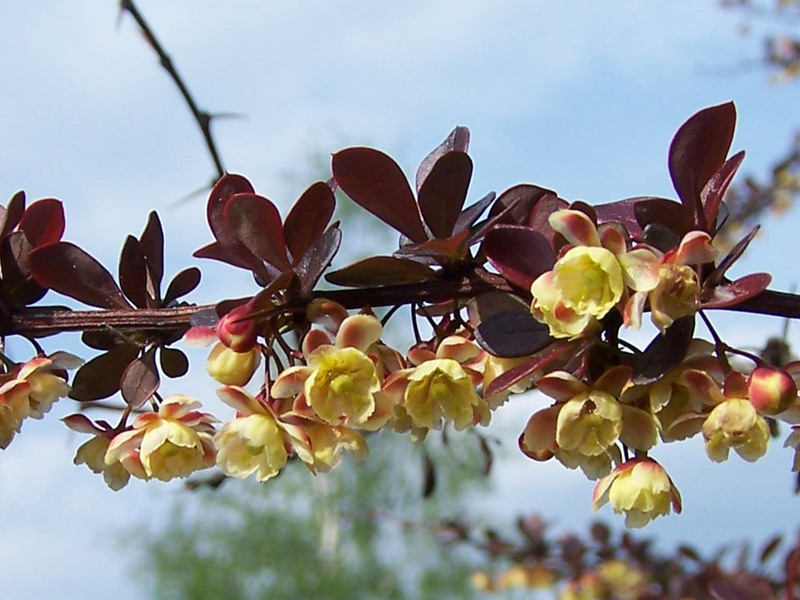 They make good additions to a mixed border or can be used to provide a very attractive and effective mixed hedge. 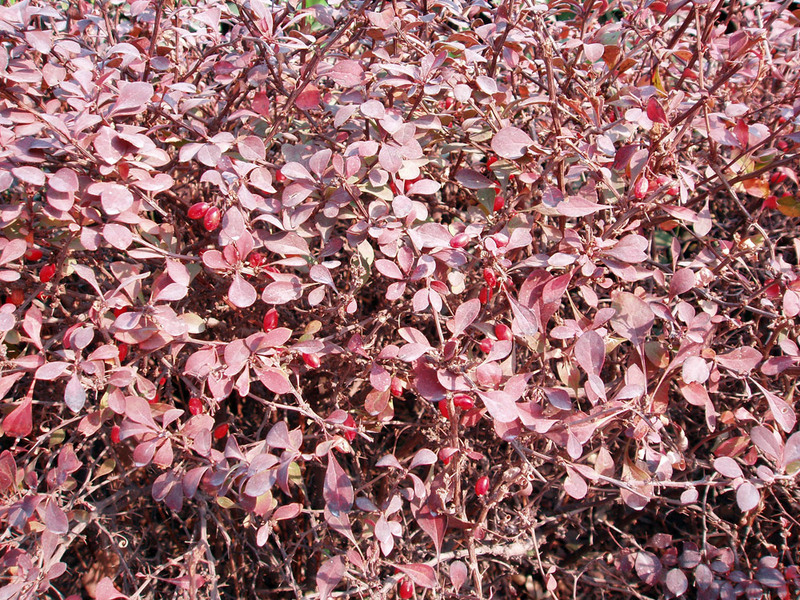 I have planted several ornamental security hedges made of a mixture of Berberis and Pyracantha varieties. 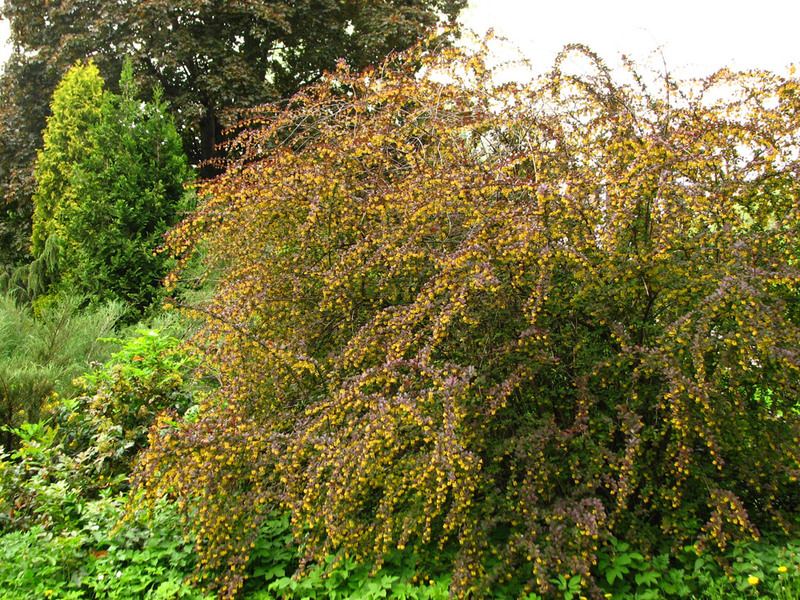 Aurea, beautiful bright yellow young foliage. Other Features: make an excellent security hedge, or will help to protect an exposed downstairs window if planted below it. Pruning: Mid to late winter, cut out one in five shoots every year to within 30cm, 12" of the ground. Remove dead wood in summer when it is easily seen. Photo credits: (numbering left to right top to bottom) 1-Beentree - Creative Commons Attribution 3.0 license. 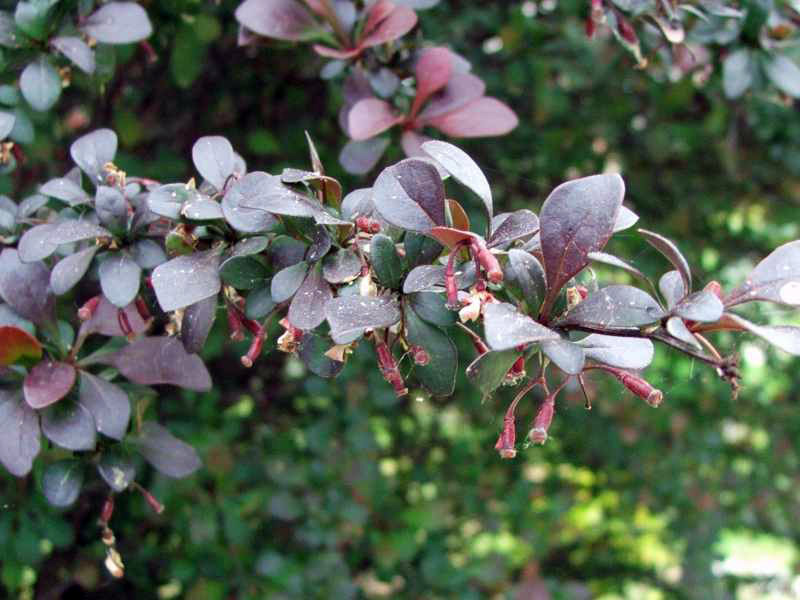 / 2-Berberis Thunberga Selso at pl.wikipedia CC 2.5 SaSA / 3-Berberis thunbergii purple hedge Public domain / 4-Fanghong - Creative Commons Attribution 3.0 Unported license. / 5-Jerzy Opiola - Creative Commons Attribution 3.0 Unported license. / 6-Kor!An - Creative Commons Attribution 3.0 Unported license.